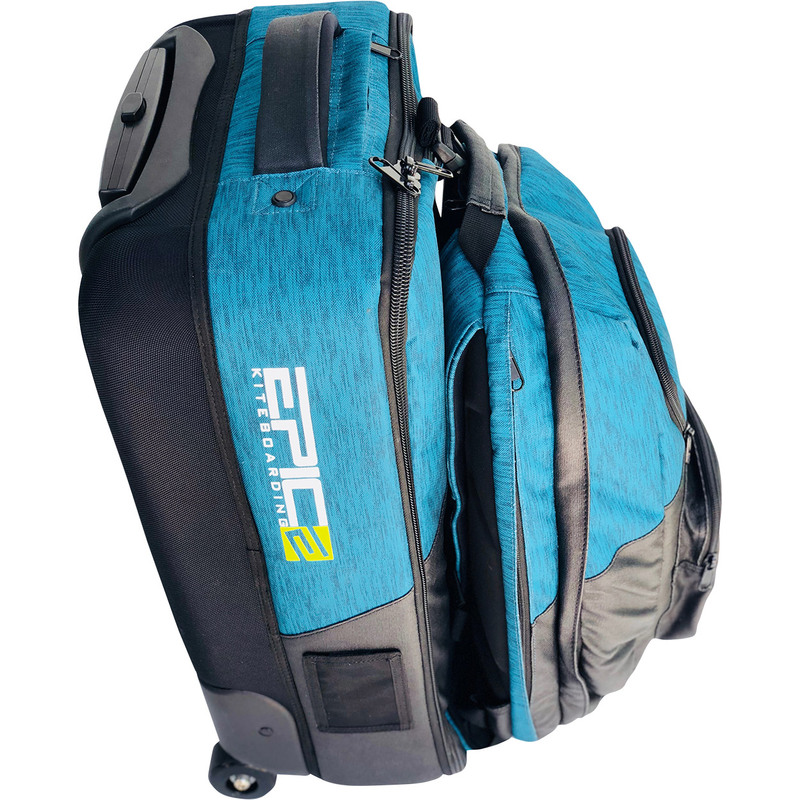 Travel or commute in style with our sleek Roller Backpack. 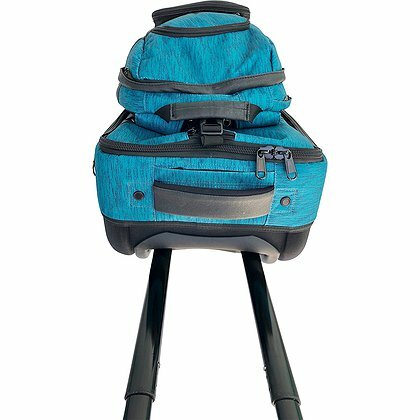 This new travel companion is loaded with features including a detachable backpack for light gear or day trips. This is an optimal solution given that airlines now restrict the number of carry-ons. When attached, the Roller Backpack counts as one item, but doubles as two for versatility. 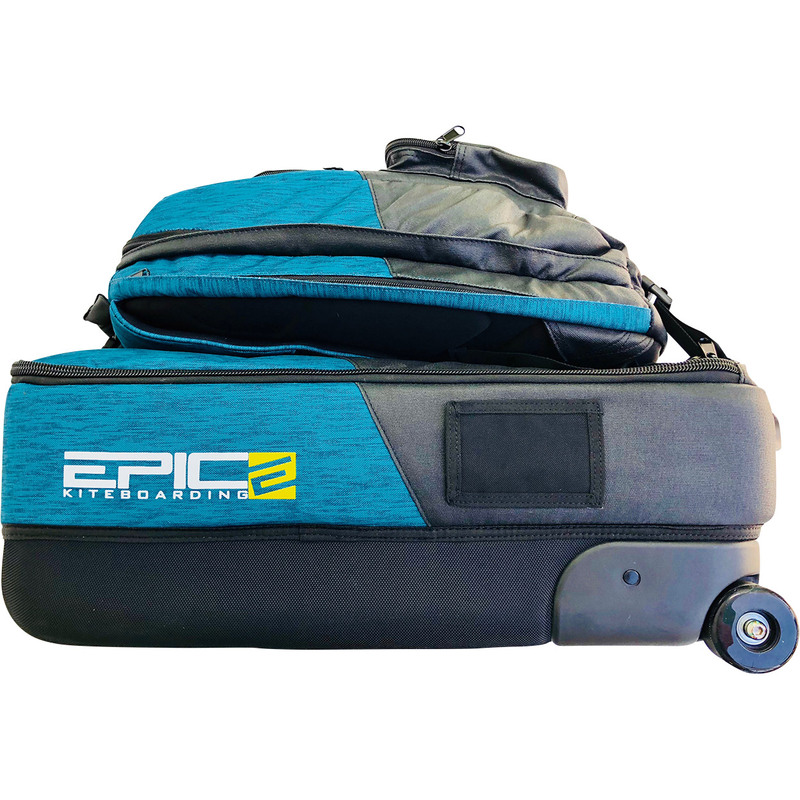 Navigate the airport with ease using the telescoping and ergonomically friendly handle and free rolling small wheels. 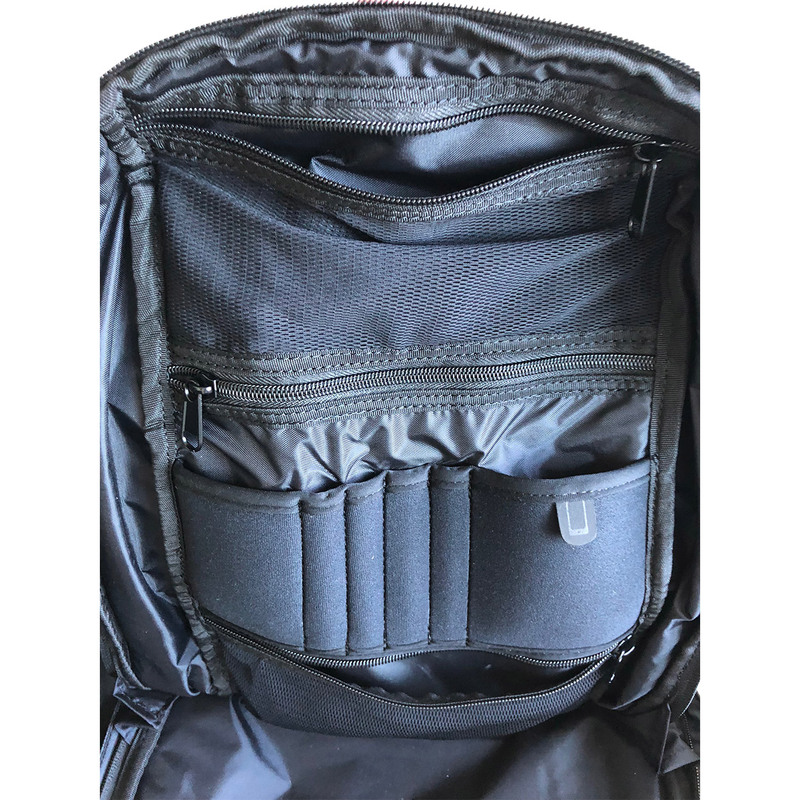 The outer backpack is easily clipped to the larger unit and has segmented sections for laptops, tablets, magazines, hydration pack or other daily essentials. Several zipped pockets provide security for items such as keys and phones without adding bulk. 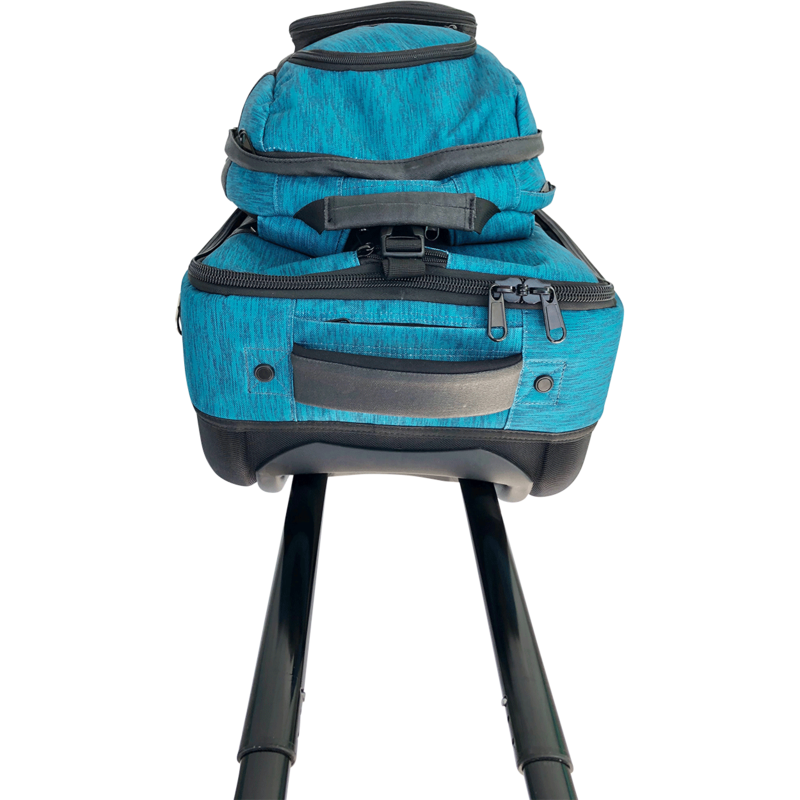 Shoulder straps are padded and adjustable. Want to connect a third bag? No worries – we’ve included an additional strap inside the handle zipper that stows an attachment point. 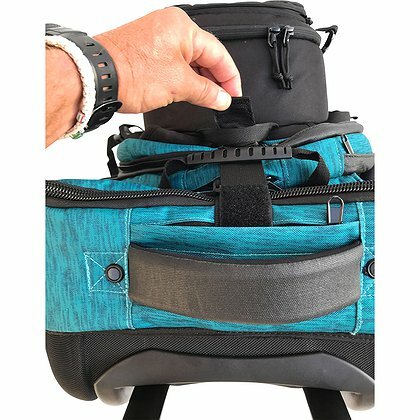 This feature is ultra convenient when you simply need a free hand. 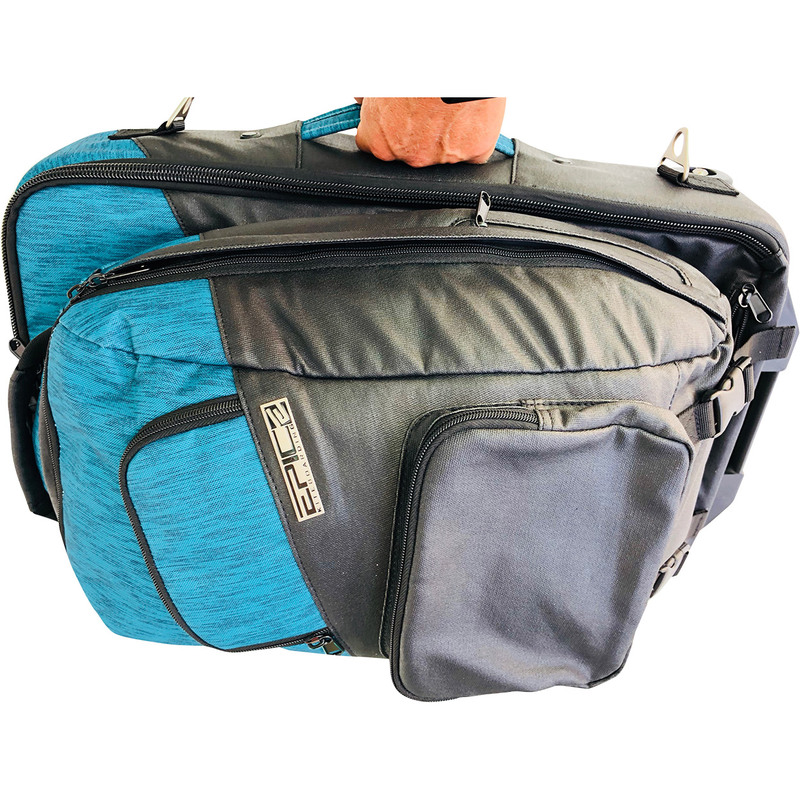 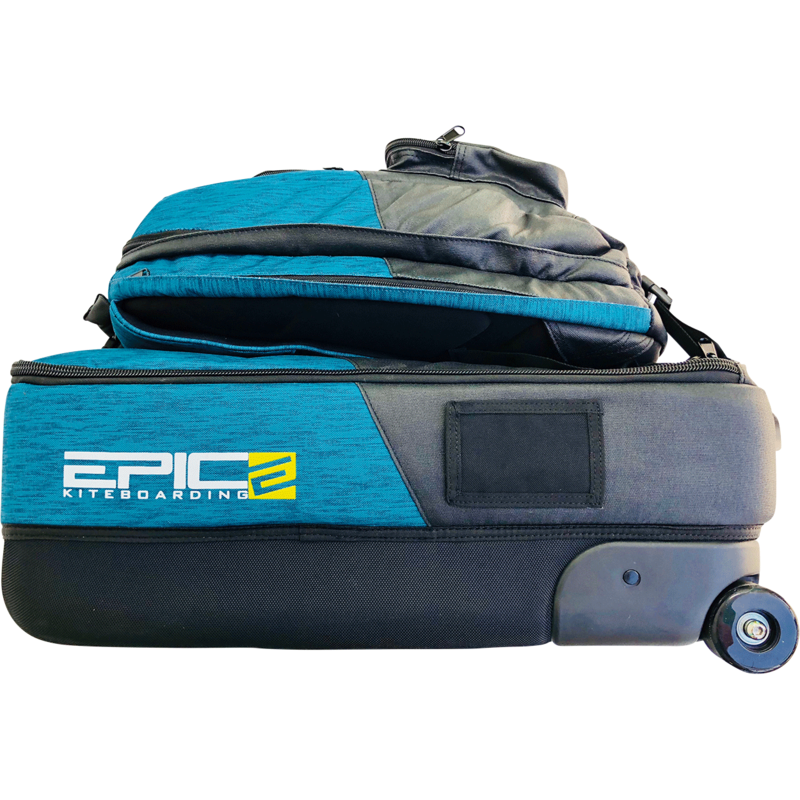 The Roller Bag section is equally durable and built for comfort. 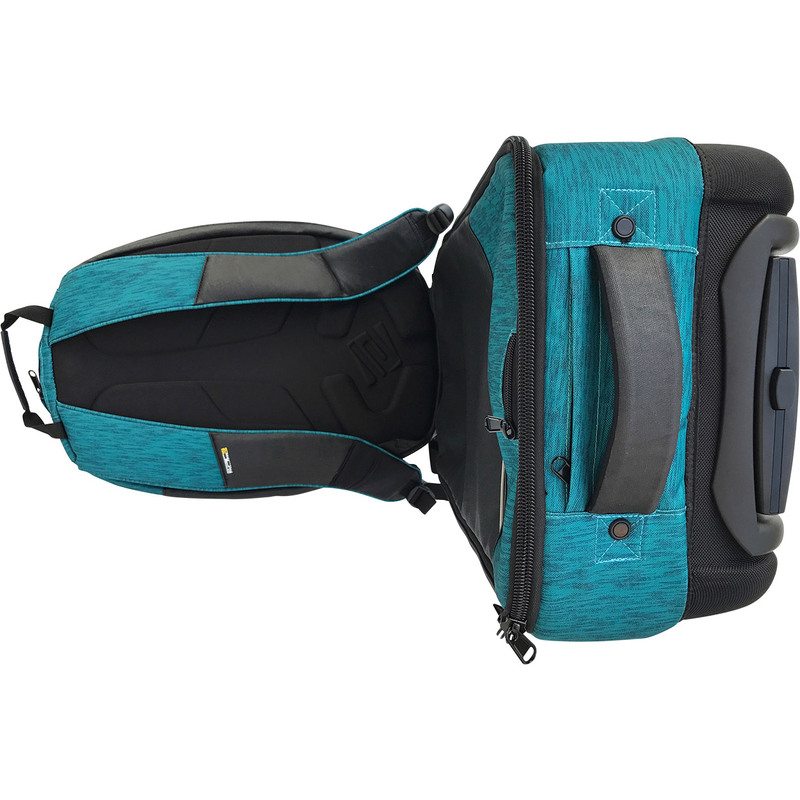 From the padded handle to the removable shoulder strap, this travel bag is flexible and roomy. The interior can easily fit several outfits and has a segmented mesh interior pocket on the flap to keep your accessories organized. 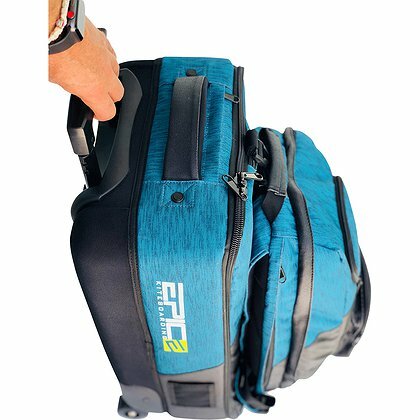 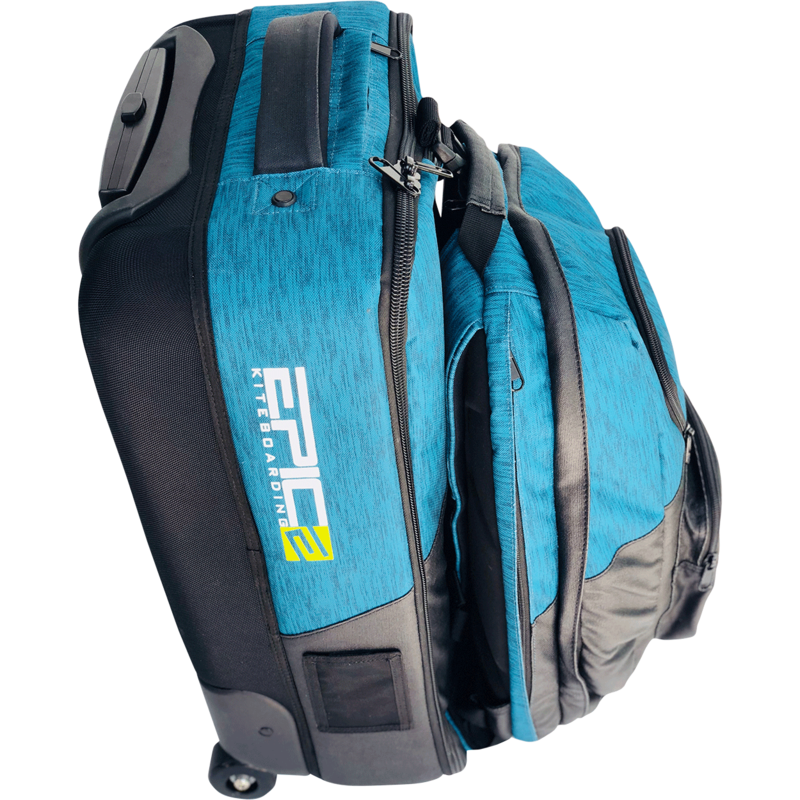 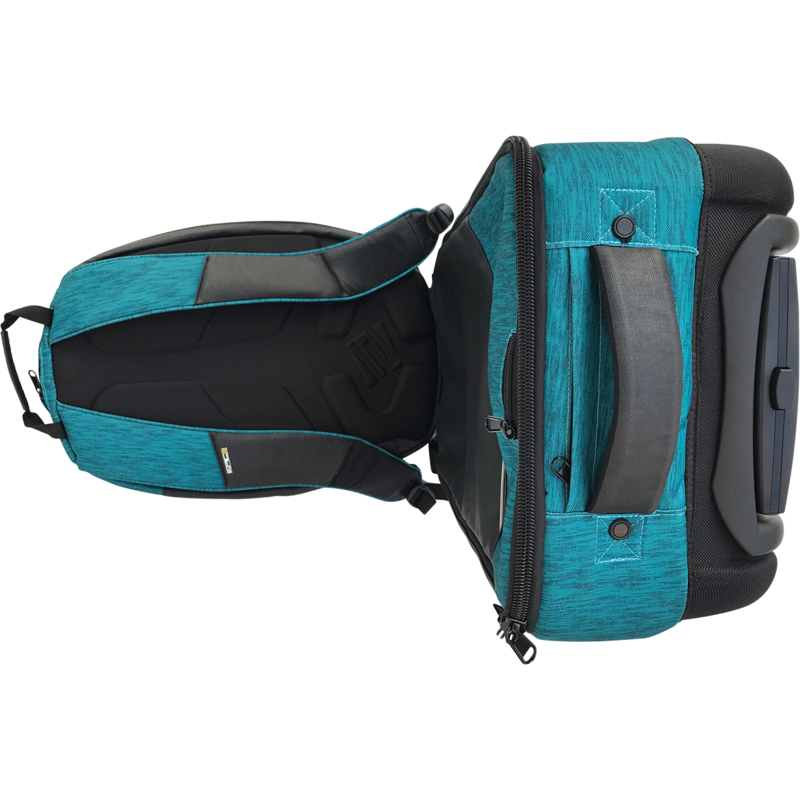 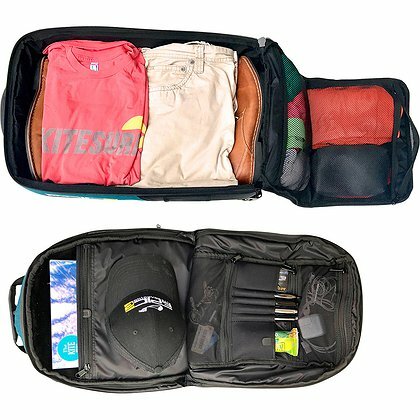 This is the ultimate travel companion for exploring the world’s kiteboard destinations, or stowing items for local sessions. 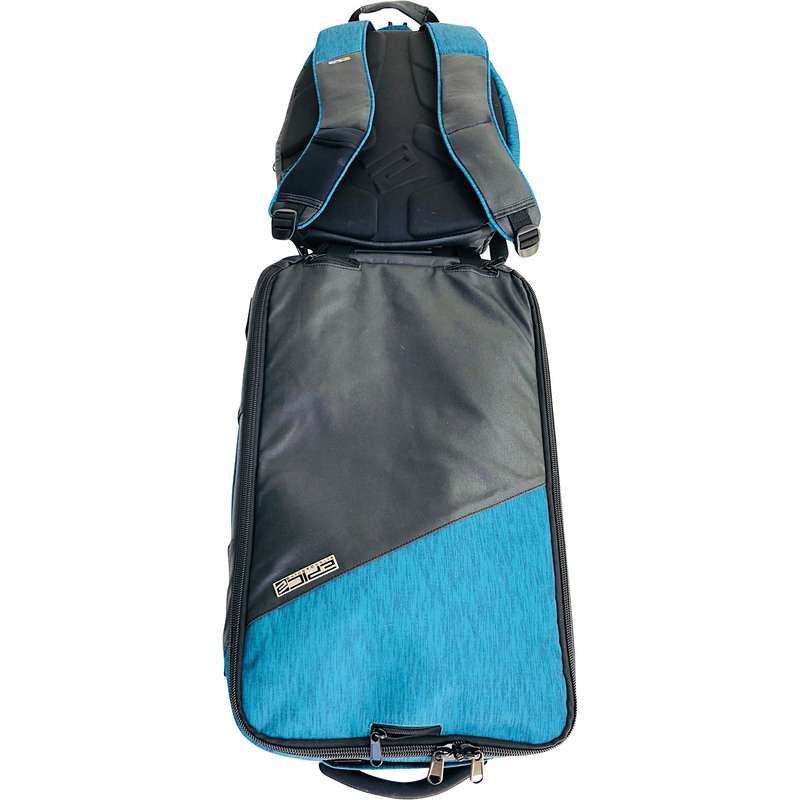 Be sure to review our video further explaining the features of this travel system. If you require additional storage for longer hauls, be sure to check out our larger Roller Bag and other travel equipment. 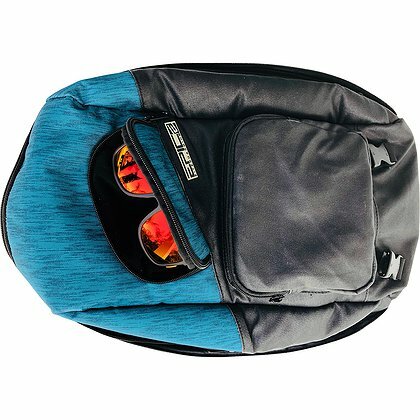 3 mesh bags inside the backpack + 1 main large pocket and slide compartment.